Many years in the planning, we are very pleased to bring New Era Farm to beautiful Aiken, South Carolina. 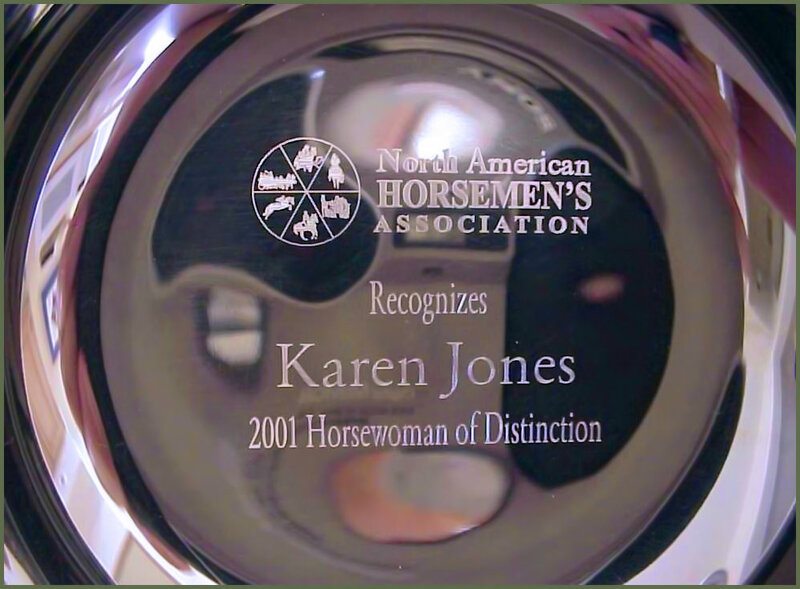 Originally established in 1984 in Southern Maryland by Karen Jones and her husband, David Foster, New Era Farm is an award-winning riding school. 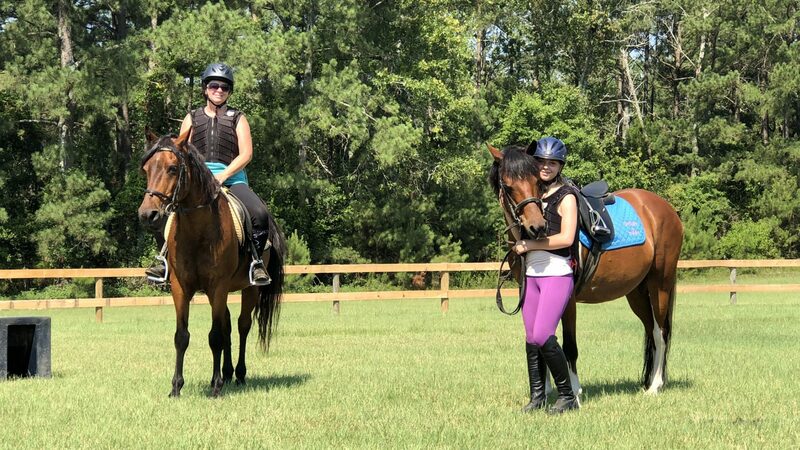 Our mission is to teach riders of all ages how to ride and enjoy working with horses whether they own a horse or not. 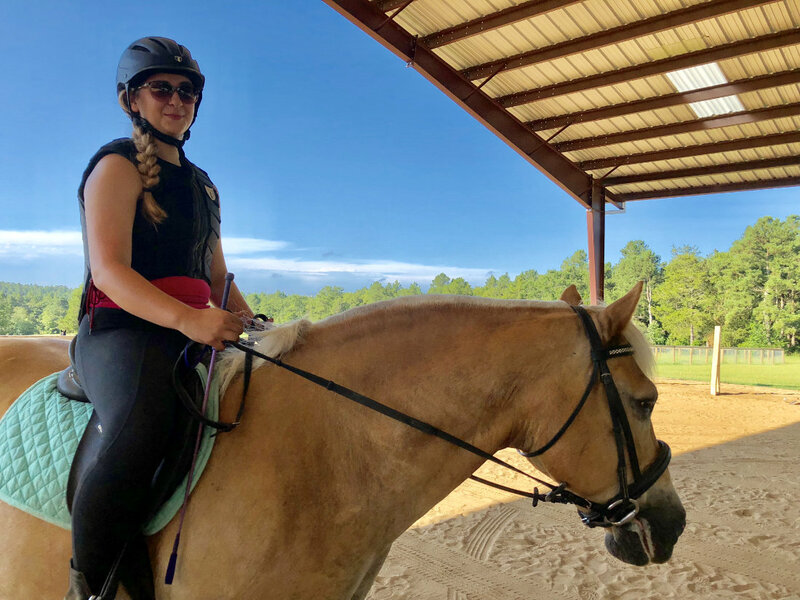 Beginners through advanced riders, riders with high aspirations, pleasure riders, recreational riders, riders who have taken a break but are ready to get back into equestrian sport (re-riders! ), are all welcomed. 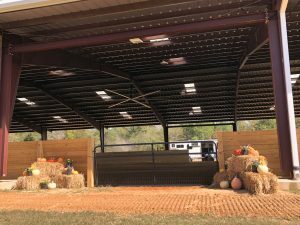 Our new, state-of-the-art covered riding arena allows professional instruction to be given year-round. This greatly minimizes the frustration and disappointment of weather cancellations and allows students to have a regular schedule and make steady progress. 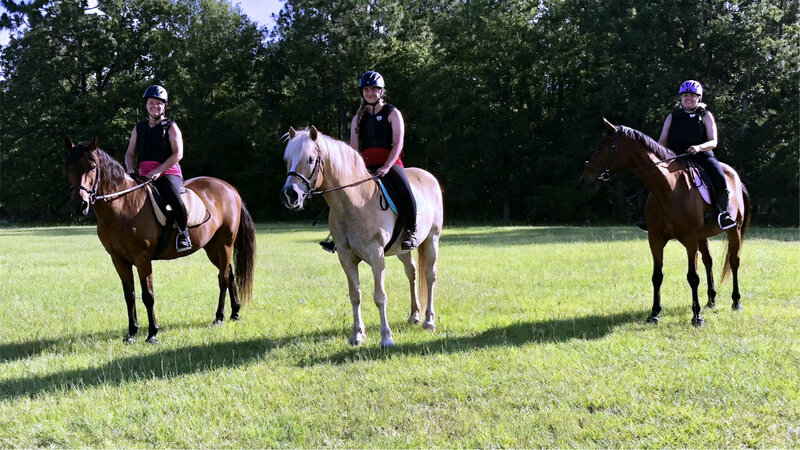 Our proven riding program provides a supportive, calm environment for learning to ride. 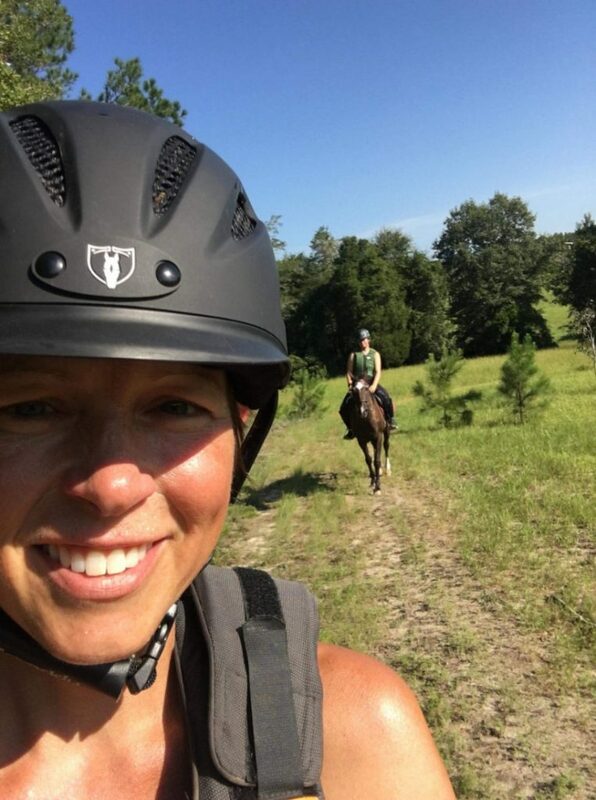 Karen Jones, owner and trainer of New Era Farm, has taught hundreds of children and adults to ride safely and to learn how to care for the horses. Our ten patient, kind school horses are the true professors in our school. 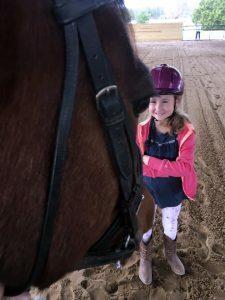 Though we are capable of readying riders for horse shows, that is not our main focus. We want our students to ride well and experience the fun of riding without feeling the pressure that comes from a competitive environment. We teach following time-tested balanced seat, classical dressage and jumping methods. 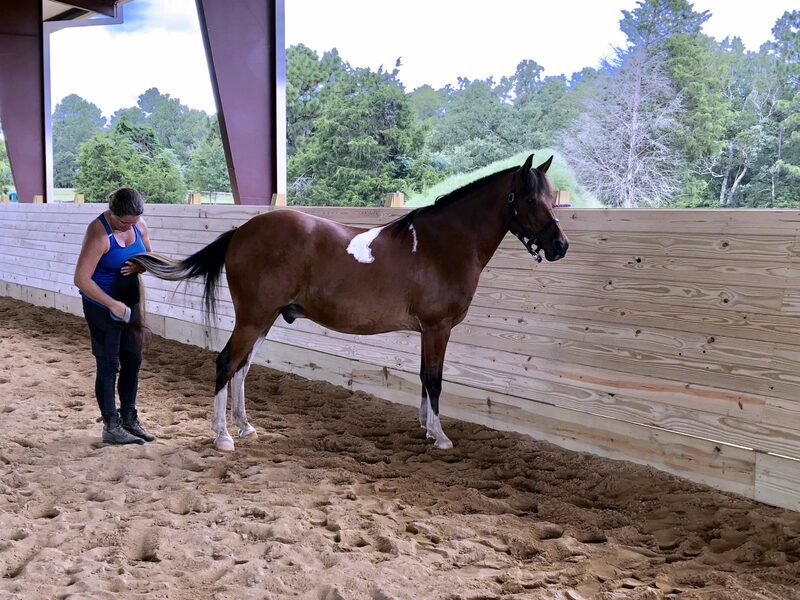 It is important to develop the correct, efficient position in the saddle as it leads to proper balance and less fatigue for both horse and rider. Balance is the foundation for every equine discipline. Our goal is the development of a well-rounded rider, whether they train on one of our ten quiet New Era Farm horses or their own horse. The result is a confident, capable rider guiding a happy, well-balanced horse! 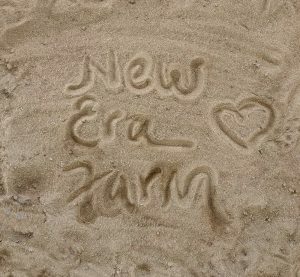 New Era Farm was many years in the planning. 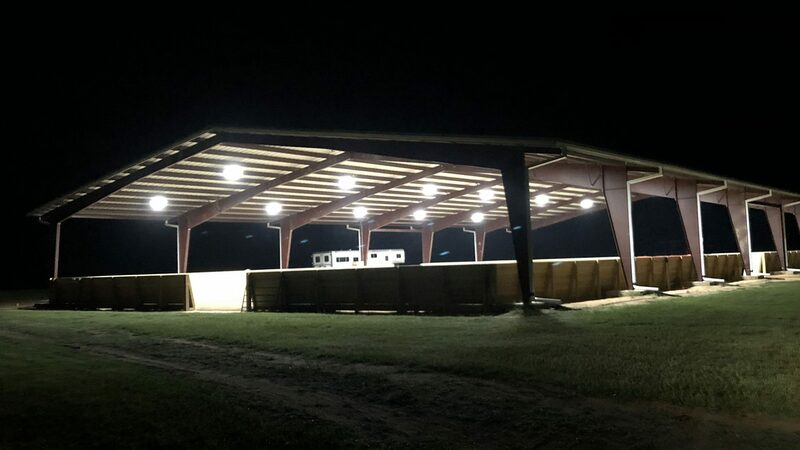 It is all brand new, including a state-of-the-art 90’ x 160’ covered riding arena that is fully irrigated and has full-coverage LED lighting. When it’s hot outside, in addition to the relief of the shade there’s a 24-foot overhead fan to keep you and your horse cool. Is it raining or too soggy to ride outdoors? The groomed and irrigated footing in our covered arena keeps conditions perfect so you can keep riding and training despite the wet weather. Own Your Horse, But Need Professional Training? 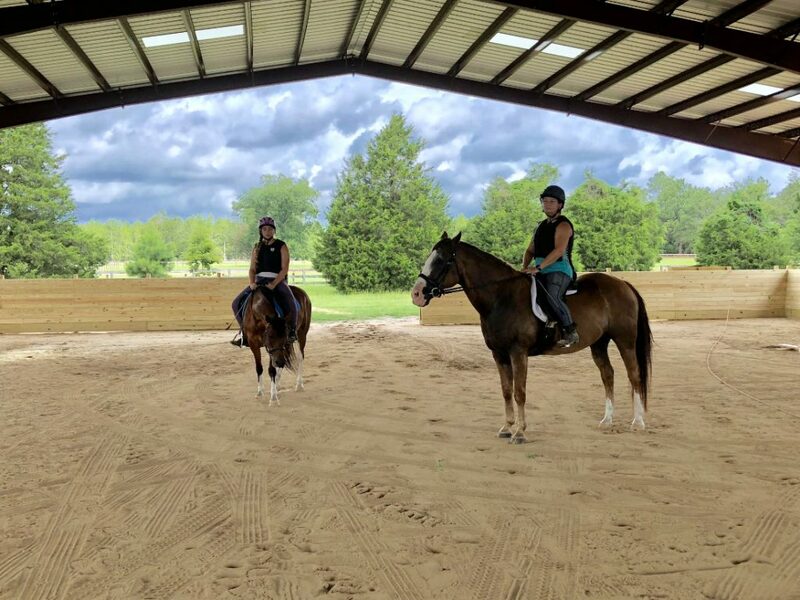 New Era Farm offers quality training to students owning their own horses. It’s easy to trailer-in for lessons as there is ample parking and lots of space to avoid backing your trailer if that is a challenge. Please note that we do not offer overnight stabling or monthly horse boarding services at this time. There’s a beautiful 110’ x 220’ outdoor grass ring, plus large grass fields with varied topography so you can get your gallop on! 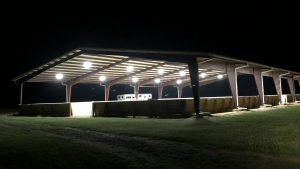 The arena can also be rented by appointment for schooling of your own horse, as well as for other events such as horse shows, canine training and competitions, corporate team-building outings and other functions. Call (803) 262-5434 for arena rental and scheduling. 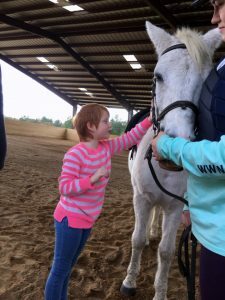 Did you grow up riding horses and would like to introduce horsemanship to your child or grandchild? 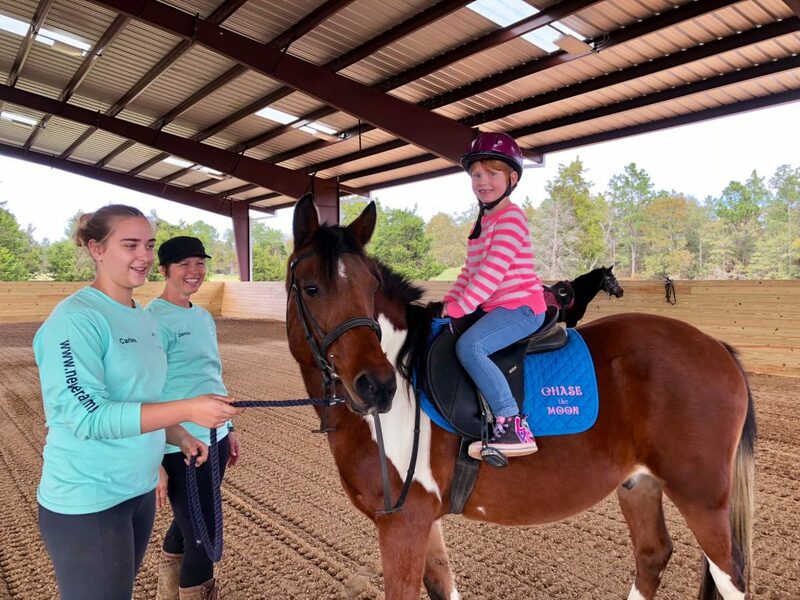 Riding horses is a family event, and New Era Farm can help you develop and share the love of riding with the entire family. New Era Farm understands this bond and is your partner in creating cherished family memories.